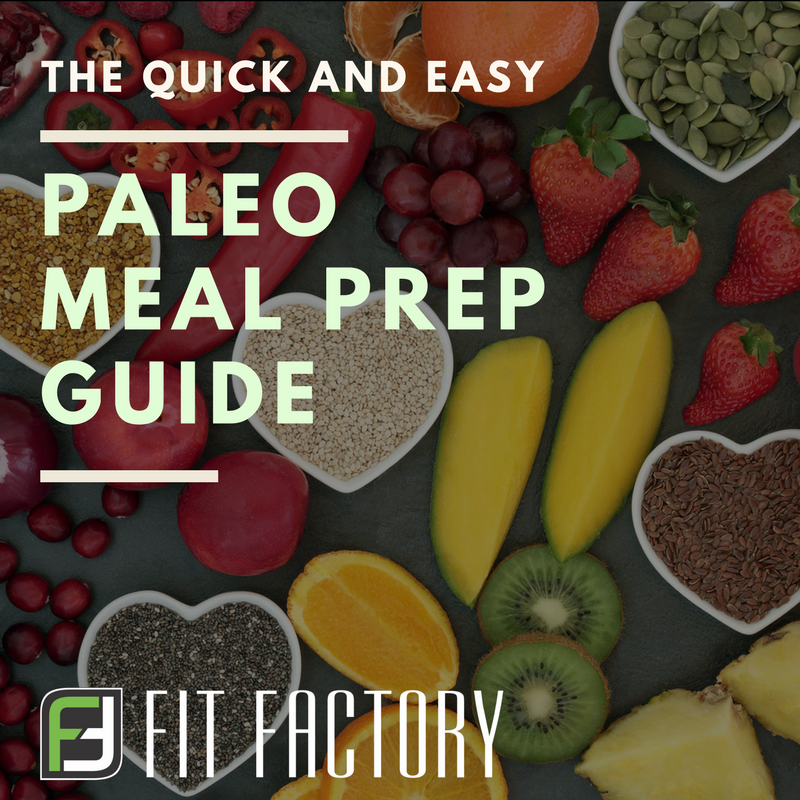 Save yourself the hassle and the money of eating out, and enjoy healthier, cheaper, and still-tasty meals all week with these ridiculously simple paleo meal prep ideas. With a little bit of planning and a little bit of prep time, you’ll have stress-free, paleo-friendly dinners covered for the week. Here are five ways to make paleo cooking easier (so that you can reach your health goals faster!). The first key to paleo success is to dedicate a few hours each weekend for planning, grocery shopping, and cooking. In the beginning, this meal prep might feel stressful and time-consuming...but, in reality, it will save you tons of time during the week and make your healthy living goals much more attainable. We all have busy lives, and a little bit of preparation goes a long way! If you don’t know where to start, Pinterest is a great resource for finding simple paleo recipes. You can even search for pre-made meal plans that include grocery lists and cooking guides. The right kitchen equipment can make all the difference. Appropriate tools will make preparation easier and cut your cooking time in half. Make meal prep simpler and easier by using a slow cooker to roast meat, a food processor to make cauliflower rice, a high-powered blender to make paleo-approved sauces, and a spiralizer to make veggie noodle dishes. When you’re starting a new diet, it’s important to keep it simple and manageable. Make the process easier by cooking a limited variety of proteins. Don’t try to prepare four different meats in multiple marinades, especially if this is your first experience with meal prepping! Instead, roast enough chicken breasts to get you through the week, and experiment with using it in a variety of dishes, from taco salad to curry. You can also add some variety with one or two other quick and easy protein sources, such as hardboiled eggs, bacon, or paleo-approved brats. Prepare your favorite vegetables so they’re ready for snacking, packing, or salad-making. Prepping a variety of vegetables will make cooking delicious, healthy meals throughout the week so much easier. When you have food at your disposal, you won’t be tempted to choose pre-packaged food out of convenience—your fridge is already full of stuff that’s just as convenient! While it’s important to keep meal prep simple and easy, it’s also important to keep your meals interesting, flavorful, and delicious. You’ll struggle to stick to a paleo diet if you’re only eating dry chicken breast and broccoli every single day. Create delicious meals, with simple, basic ingredients, by using a variety of spices, seasonings, and sauces. While most store bought condiments are off-limits for paleo eaters, it’s easy to recreate your favorite flavor combinations at home. We hope this guide helps you continue to make intentional choices to support your health - feel free to talk to one of our personal trainers if you have any questions about nutrition or diet. Ultimate Guide To Staying Healthy, Fit, In Shape in the Summer: Stay Hydrated, Workout and Exercise with Friends, Try New Fitness Activities, Try Group Classes, Eat Healthy, Local, In-Season Veggies and Fruits. From celebrating traditions and enjoying elaborate meals to spending time with family and anticipating a new year—the holidays are a wonderful time to be with the ones you love. How To Stick to a Healthy Diet (Without Spending Hours in the Kitchen): choose healthy and convenient foods at the grocery store, find simple and healthy recipes to cook and prepare, and always keep healthy snacks on hand.